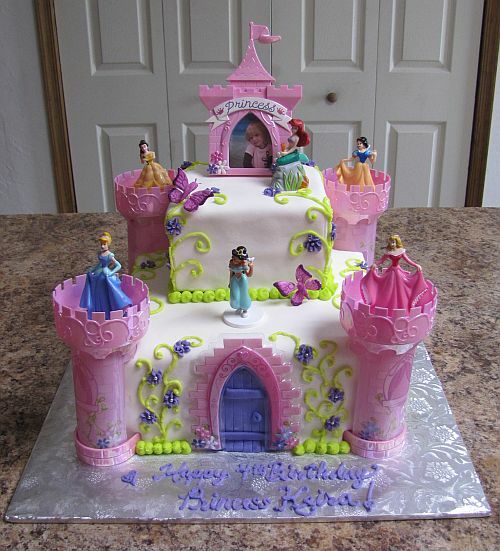 This cake was made using a Disney Princess Castle Cake Kit that the mother provided for the cake. We just made the two square tiers look pretty. 🙂 What little girl doesn’t love the Disney Princesses? Let me know if your interested in selling the castle kit. I’ve been searching for one and cannot seem to find one. How much is this cake need for 25 of April. I am going crazy looking for that princess castle!! Where can I get it?? Sell it to me!!! The Castle kit is discontinued, sorry. I don’t even have the kit either the girls mother has it and the cake was made a couple years ago. Everyone loves it though. I wish they would make it again!! « Super Mario Brothers Cake!